Sea is filled with beautiful coral reefs, giant whales, and tiny seahorses. But there is so much we don’t know, so let’s go exploring. This article increases your information. The largest jellyfish is the lion’s mane jellyfish (Cyanea capillata). Although most are much smaller, the bell of a lion’s mane jellyfish can be over 8 feet across. As huge as their bell is in diameter, that’s not even the biggest part of the lion’s mane jellyfish. Their long, slender tentacles can reach over 100 feet, and they have many of them – the lion’s mane jellyfish has eight groups of tentacles, and there are 70-150 tentacles in each group. The tentacles hang down underneath the jellyfish’s bell, along with its much-folded lips and gonads. All these structures together in a mass resemble a lion’s mane. Interestingly, the lion’s mane jellyfish changes in color as it ages. They start out pink and yellow, and then once the bell grows to 5 inches, the jellyfish is reddish to reddish brown. As the bell grows over 18 inches, the jellyfish deepens in color. Hydrothermal deep-sea vents have been fascinating the scientific world ever since their discovery in 1977. They are basically seafloor geysers spewing as much as 867°F (464°C) hot water. What makes them so fascinating is the density of population and a wide range of various species inhabiting the vent sites. At the very bottom of this food chain are the amazingly resistant bacteria types that can feed on the highly toxic soup of chemicals that would otherwise prove fatal for a vast majority of species on the planet. Such bacteria become a prey of larger species, which is what even larger creatures feed on and so forth. Most commonly found at an average depth of around 7,000 ft (2,100 m), deep-sea hydrothermal vents occur as a result of tectonic plates movement in volcanically active areas. Researchers solve a mystery of deep-sea fish with tubular eyes and a transparent head. More information click here. And watch here. 9- The worst fact is that we’ve only explored less than 5% of the ocean. Number Ten: Goblin Shark. The goblin shark is known as a living fossil because it represents a lineage that dates back 125 million years. 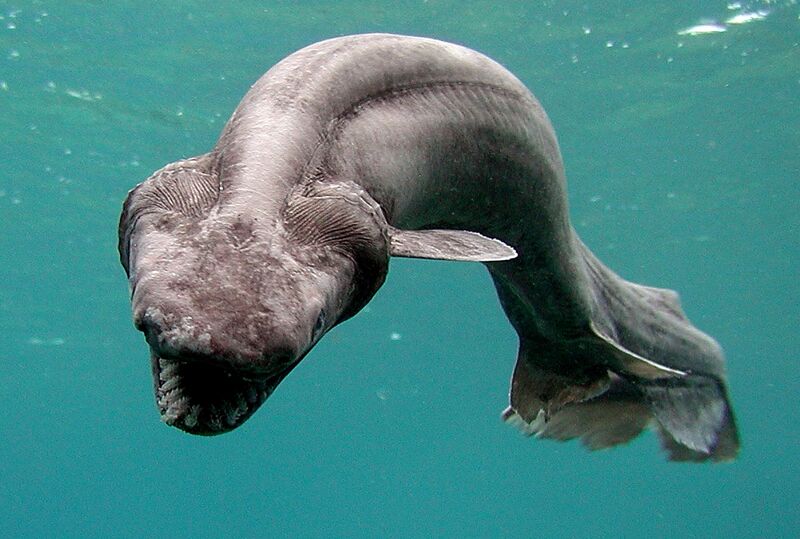 It can grow up to four meters in length and lives in waters deeper than 100 meters.